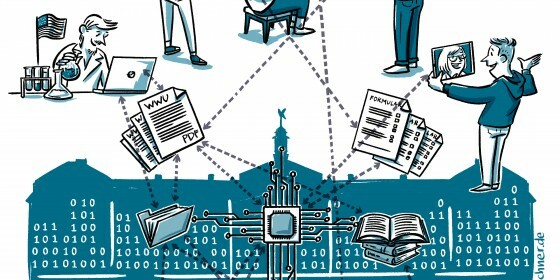 Digitalisation remains a challenge for universities. Taking new paths - Five guest commentaries on the opportunities for research, teaching and society as a whole. 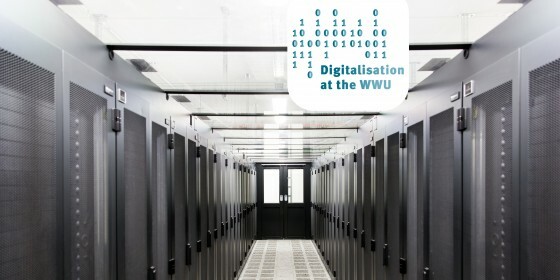 Digitalisation is changing many areas at the University of Münster. It is for this reason that for the past six months the University’s press office has been taking a closer look at the digital changes being made. 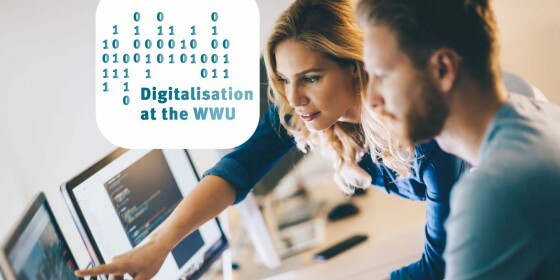 To conclude this series of articles, we present five views on digitalisation at the University of Münster, at German universities generally, and in society as a whole. 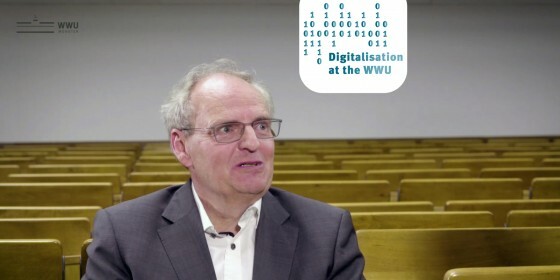 Sixth in a series of videos on the special topic of "Digitalisation"
"Basically, my work as a church historian would be inconceivable without digitalisation", is the unequivocal view of Prof. Dr. Hubert Wolf, who is Director of the Department of Medieval and Modern Church History at the University of Münster and is currently supervising two large-scale online projects. 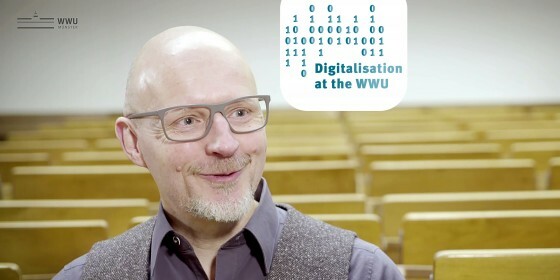 As a member of the executive board of the Center for Digital Humanities, Hubert Wolf advocates more advice and guidance on using digital instruments in the Humanities. Specialists are needed to help in large amounts of digital data being used in a purposeful way. They design mathematical models for processing data, which they then analyse and place in a meaningful context. It is precisely these data specialists that are being trained on the part-time certificate programme in "Data Science" at Münster University. What distinguishes the course is its interdisciplinary nature and the integrated view it takes of various areas of research. 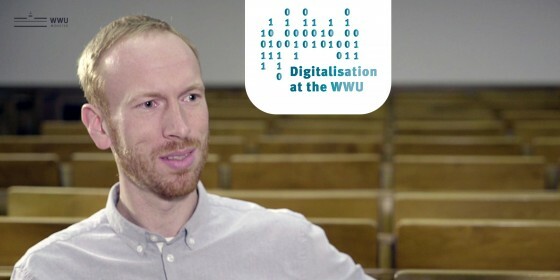 Fifth episode of the video series on "Digitalisation"
Some 28,000 students from more than 45,000 enrolled at the University of Münster used the Learnweb during the winter semester 2017/18. Consequently, the platform is the most commonly used digital teaching and learning format at the University. 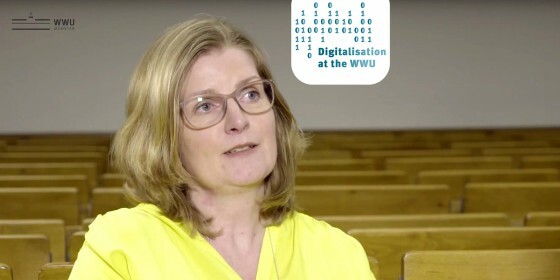 "Digitalisation has certainly changed how we teach", says Prof Dr Regina Jucks, Vice- Rector for Teaching and Studies. 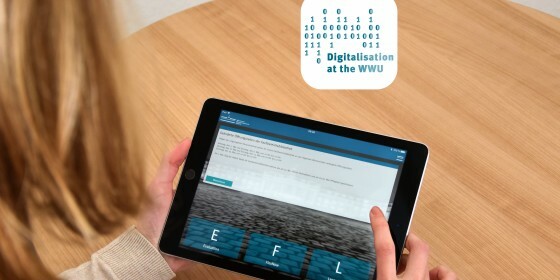 Apps for organising studies, online learning platforms, video-based teaching modules: digitalisation is changing the way teaching is being done at universities – and that includes the University of Münster. We present three different examples in guest contributions. The "Wadi Abu Dom Itinerary" archaeological project being undertaken at the Institute of Egyptology and Coptology is now putting its data online, gathered during field research in Sudan. 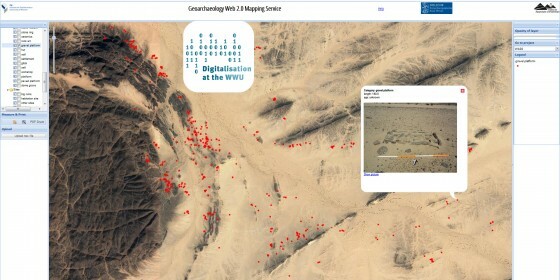 Academics, as well as anyone in the general public who is interested, can use a geoinformation system to take a look at the findings. Do competitors have a legal entitlement to access to exclusive usage data? 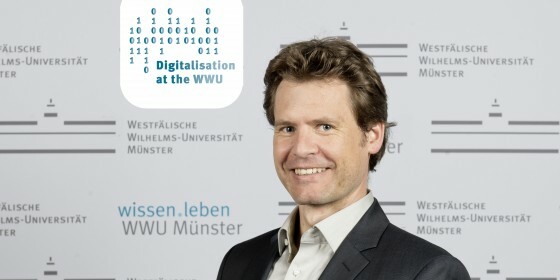 In his dissertation written at the University of Münster, the author, Dr. Jan Markus Weber, dealt with the question of the extent to which competitors should have access to the algorithms and data sets held by the dominant force in the market, Google. The aim of research data management is to increase the transparency of science, enable reliable quality control and guarantee the assurance of results. 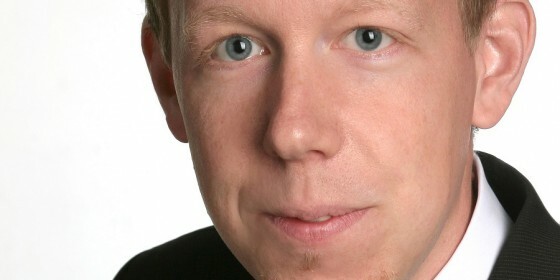 "Nowadays, it’s possible to process large quantities of data", says Dr. Dominik Rudolph, Managing Director of the ZIV. "What is needed for this, though, is not only technical know-how, but also library competence and legal knowledge." "We live in exciting times", says Prof. Guido Hertel, Executive Director of the Institute of Psychology at Münster University. Digitalisation is changing not only the jobs market, but also our private lives. Guido Hertel calls for openness and user-friendliness in dealing with the new technologies. 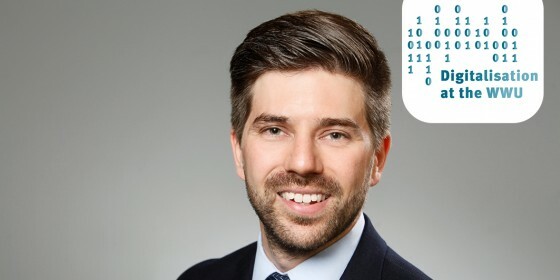 "Data protection and data security are absolutely fundamental conditions for people to be able to trust these systems", says Prof. Dr. Martin Dugas from the Institute of Medical Informatics. 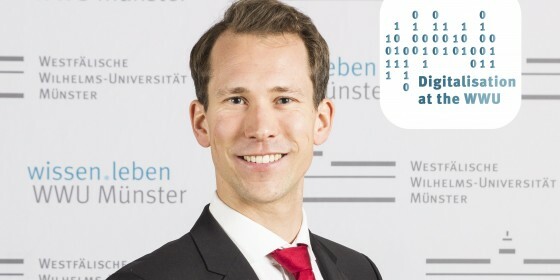 What he means are platforms such as Münster’s "Medical Data Models Portal", which provides online access to 15,000 medical questionnaires. The aim of the portal is to ensure more transparency in medical research. "Our hardware could help to automatically identify cancer cells." 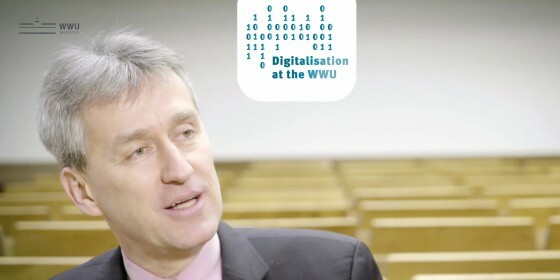 Prof. Wolfram Pernice, a nanophysicist from the Institute of Physics at the University of Münster is carrying out research into intelligently networked computer technology which works in a similar way to the human brain. In this interview Pernice talks not only about this new research, and about artificial brains and prospects for the future. The Network Enforcement Act (Netzwerkdurchsetzungsgesetz) came into effect a few months ago. The aim of the Act is to prevent hate speech and fake news appearing on social media. In this commentary, however, lawyer Prof. Nikolas Guggenberger explains why the Act is not fit for purpose. Part Four in a series of guest commentaries. 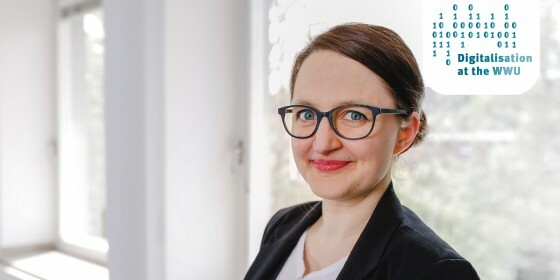 Felix Brinkschulte and Dr. Lena Frischlich are undertaking research into the resilience of democracy in times of online propaganda, fake news and hate speech. In this guest commentary, the communication specialists explain how it is becoming increasingly difficult to assess the credibility of sources on the internet. Part Three in a series of guest commentaries on the subject of fake news. Dr. Christian Grimme researches into strategies to combat hidden online propaganda attacks. In this guest commentary the information systems specialist explains what makes fake news appear to be so dangerous in the digital age. This is the second in a series of guest commentaries on fake news.